Salome Ekwunife wrote: Onitsha main market is closed down, school children are at home. Ugwu Sylvanus Wrote: Incredible! Onitsha is as quiet as a grave yard, deserted . Biafrans are mean. Citizen Frank Marcelo Wrote: At Onitsha here no movement, all the markets was shut down including the biggest market in West Africa main market, both schools, banks, in fact no movement. Biafra is too much. 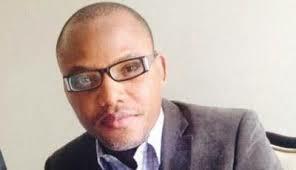 PARIS, SEPTEMBER 23, 2016: (DGW) REPORTS coming in from Nigeria say the mega protest declared by IPOB ordering everyone to stay at home protesting the continued detention of Nnamdi Kanu has been fully complied with as all major markets, shops in the region remained closed. Schools , markets in the southeast cities of Onitsha, Calabar , Uyo, Aba, Port Harcourt, Asaba in Delta state remain closed in solidarity with the detained IPOB leader, Nnamdi Kanu. There has not been any reported clash between the members of the various pro-Biafran group and Nigeria's security forces as of the time of filing this report as the protest according to our reporter is not violent. We shall bring you the details of the mega protest as it unfolds. Stay connected.